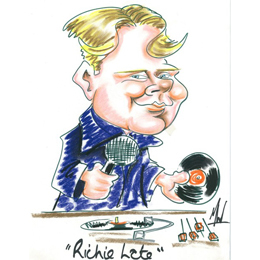 Richard Late has worked in the entertainment industry for over 28 years, during this time he has worked for the some of the UK's biggest leisure firms. He has local radio experience presenting primetime shows at both drivetime and breakfast. 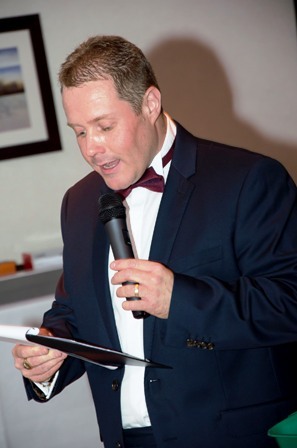 His job as your compere is to help create and maintain the atmosphere of the event, be friendly and approachable whilst ensuring everything continues to run smoothly, and not let show any glitches that may occur "backstage". Taking away the stresses that can arise from running an event. 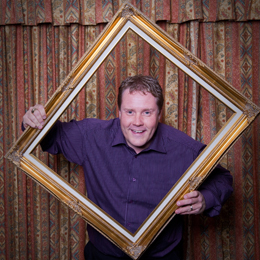 In recent times Richard has been chosen as the host for the NHS Awards for Excellence. Drawing comments such as "you were actually quite funny!" and "you were warm, witty and well received"
He has also been confirmed for the Bootleg Ball, Adult Weekend taking place at The Butlins Holiday Resort in Skegness, Lincolnshire. Over the years Richard's charity work has included events on a truly national level, from the RNIB to the Macmillan Nurses, Water Aid, Rainbows and Whizz Kidz, alongside numerous indoor and outdoor events for many smaller charities. He has played host to events for Centre Parcs and Great Ormond Street Children's Hospital. Richard is also the regular presenter for the Fun Dog Olympics in the historical town of Market Bosworth to raise much needed funds for Leicestershires Animal Aid. 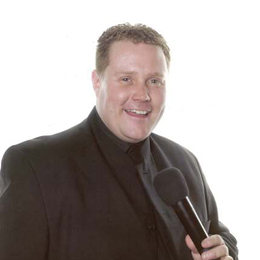 He is the resident compere at a fireworks event held every year attracting 2,500 people, alongside having twice presented the Christmas Lights switch on in front of a crowd of 5,000 people in the "Pork Pie" town of Melton Mowbray. Richard has also hosted the "New Beats" section of The Party In The Park Festival held within the East Midlands. His experience in outside events clearly shows in the fact that he scheduled, organised & compered the two day "Rock The Vale" festival held in the beautiful Vale of Belvoir, which featured over 30 separate acts. Whether presenting to 50 people inside or 5,000 people outside you can be sure Richard Late can take it all in his stride! !